Your customers are our members. 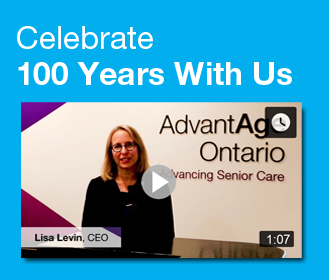 AdvantAge Ontario provides your company with valuable information and access to members-only opportunities to effectively market your products and services to the large and growing seniors’ care sector. Companies that belong to AdvantAge Ontario use their membership as a calling card. Our provider members appreciate suppliers who support their Association and they regularly turn to the Membership Directory, Convention exhibitor listings, or call the Association office for referrals when selecting vendors. The 2019 membership fee is $607 per year for companies with more than four employees and $280 per year for companies with four or fewer employees. Annual Convention & Trade Show - this annual event attracts over 500 senior care professionals and features a high-traffic tradeshow and a wide variety of sponsorship opportunities to suit all budget sizes. Membership Directory - list your company with a description of your products and services free of charge in this well-used resource. Further increase your exposure by purchasing advertising space or inserting your brochure. Over 95% of members use the directory guide to locate colleagues and more than 75% use it to locate suppliers. And more - advertise in our monthly newsletters Action Update and Housing News, sponsor a one-day educational session, sponsor an Association award, or advertise on our website. Monthly Newsletters - our regular communications and monthly newsletters will give you insight into developments in long term care, member issues, and Association initiatives. Website - quick online access to reports, information and updates on sector and Association activities. Membership Directory - this comprehensive listing of member organizations and key contacts in long term care is a members-only resource and is provided to you free of charge. Get involved, make contacts, share your expertise, and learn more about long term care. •	Share your expertise by presenting at educational sessions.